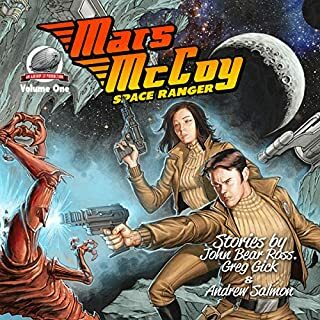 Mars McCoy is a deliberately retro character in a retro universe, a tribute to old style pulp heroes and villains. You'll find few, if any, shades of gray here and not a lot of complexity or introspection. That's as it should be for the genre. I enjoyed this as a nostalgic romp. This a collection of novellas set in the same universe and starring the same core characters. The stories were all at least adequate for the genre and the best were quite good for what they are. A good read, or in this case a good listen.